All fully instrumental pieces for power trio, featuring world-class musicians Prashant Aswani and George Kollias, Tom’s deep desire to explore the boundaries of playing capabilities is in safe hands. Evidently the work of a complex mind, Asseverations is the amalgamation of Tom’s life experiences; a voyage through many irregular and complex time signatures with equally unusual scales from around the world. A unique and exhilarating delve into a fusion of styles, executed with virtuosic style. Founded with an uncompromising attitude towards musical expression. 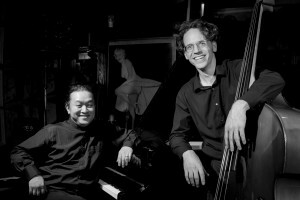 After relocating to Japan, British bassist Tom Southerton met up with maestro pianist Tachibana Yoichi. 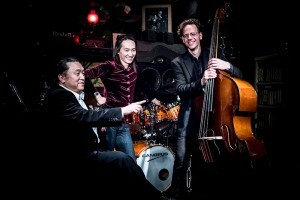 The trio was formed with the imaginative Ito Kooryo on Drums. With a frenetic style they play a lot of notes, not because they can, but because that’s what they hear. The trio’s focus is on enjoying playing together and offering an exciting listening experience for audiences. Intense is the word. Besides playing as a duo, TomTachi specialize in accompanying vocalists and lead players. TomTachi’s shared love of playing without inhibition and expressing themselves freely has given the two a sense of ‘being on fire’ when they play together. 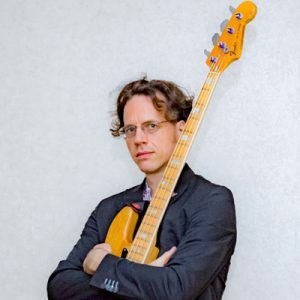 Tom’s busy bass playing is often overpowering but Tachibana felt truly uplifted meeting a bassist willing to cross the boundary of accompanist and able to keep up with his frenetic playing style and excite him. TomTachi hope to cut to the chase and play from the heart. Gustavo Torres from Buenos Aires, Argentina is dedicated to the craft of his guitar playing. Besides his phenomenal playing, Gus’ wide variety of styles is what attracted British bassist Tom Southerton to him. 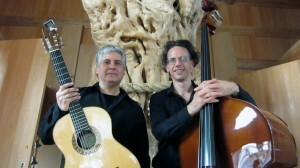 Playing Tango, Flamenco, Rhumba, Bossa Nova, Latin, Jazz and Folk from around the world. They have fun trying to communicate with each other with limited English, Spanish and Japanese, music is the best language! “Tom is a reliable and honest and respected musician, he has a very warm and welcoming personality and is always keen to work with other musicians especially in the field of World music”. © 2019 Thomas Southerton. All Rights Reserved.